The Extra Mile dashboard view is simple and beautiful! So I was going to do an in-depth review of Extra Mile, the iOS app that recently added AppRadio compatibility. Well the fact is an in-depth review would mean explaining how awesome this app really is. 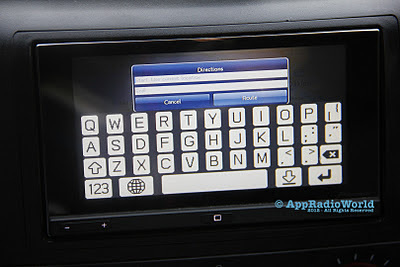 I think it is probably the best AppRadio compatible app out there right now (Also see this previous post on Extra Mile). 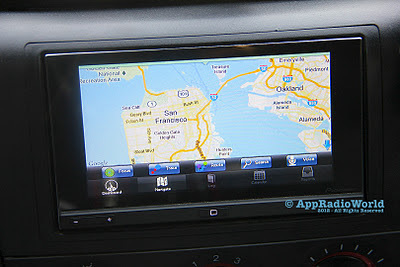 voice-guided navigation, mileage log with maps, driving pattern log, a speedometer and fuel cost per trip information. All this is done in one beautiful app. How to use: Basically you just launch the app, press start and start driving. The app does the rest for you. It even continues to log in the background so you can use your iPhone for listening to music or anything else. Once you reach your destination press the end button and the trip info gets saved. 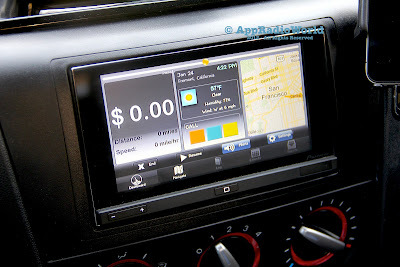 You do have to manually enter your car's approximate fuel economy and the price of gas before you start using the app. This gives the most accurate information. The saved log file of your trip contains such information as the geographically tracked course, fuel consumed, distance and speed. There is also a slider at the top of the screen that moves based on your driving pattern. It warns you if you accelerate too quickly or simply drive too fast with beeping sounds. The buttons are nicely laid out and easy to read. Dashboard: The dashboard view on the AppRadio is beautiful. It shows the map, fuel/money consumption, local weather info and driving behavior alerts. There is no complicated stuff here. All simple and easy to figure out. Maps: The maps in this application work the way it should. You can view the map on the AppRadio screen in a unobstructed fullscreen view mode. There is almost no lag when you pinch to zoom in or out. Panning across the map is also effortless. The GPS locator works nicely and can pinpoint the current location. 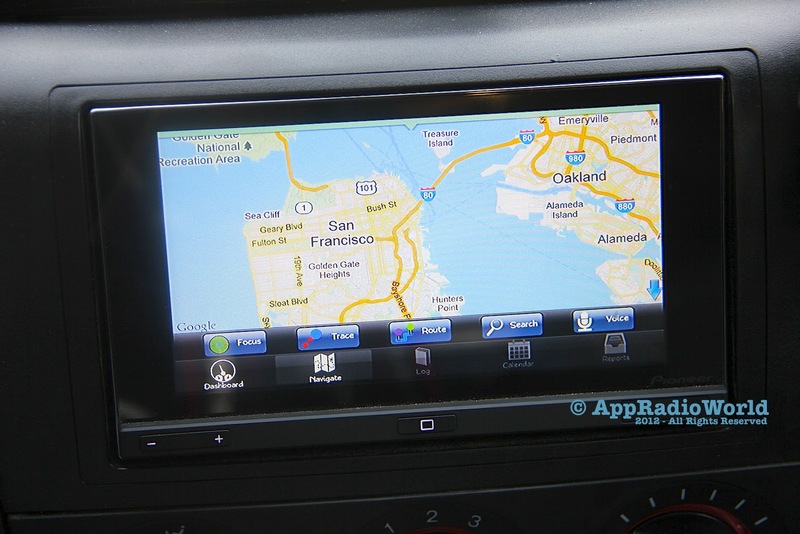 Your route can be traced on the map and voice-guided navigation makes good use of this. Points of interest can also be searched for from the current location. You can also estimate the cost of your trip before you start driving. The unobstructed fullscreen map view. Calendar: There is a built in calendar for keeping a record of your day-to-day travel details. This type of a monthly log is suitable for business travelers who like to have such details available to them. Each trip shown on the calendar has detailed information stored. There are bar charts which help you analyze your driving habits by just looking at them. Navigation: Voice-guided navigation for FREE! Nothing can beat that. While there are others available for a few bucks this one actually works very well. The voice is clear and crisp, the map is easy to use, you can track your route before you take it and points of interest search is easy. Everything just works! Route input for navigation is simple. Cons: While the app is free in the app store generating reports will cost you. Report generation is an In-App purchase. $1.99 for the report generator and unlimited log entries. The free version has a limit of 20 log entries. Reports can be generated in a variety of formats including spreadsheets. At that price though this is hardly a drawback of the app. 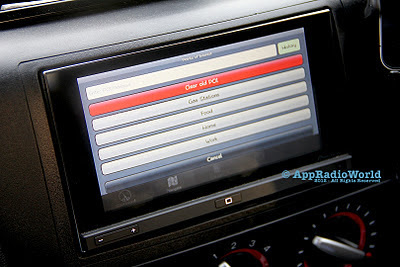 Some functions like logs and calendar view cannot be viewed on the AppRadio. These can only be seen on the iPhone itself. The tabs for these functions are greyed out when connected to the AppRadio. Also, you need to have a fair idea about your car's fuel economy. These estimates are rough values so the actual outputs in the logs can be approximate too. Points of Interest (POI) search screen. 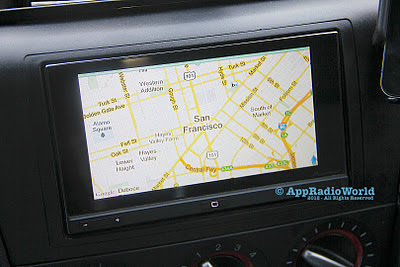 Bottom line: A must-have for all AppRadio owners and even if you don't have the AppRadio you should get Extra Mile. If you are a business user who wants to track traveling costs, Extra Mile is for you. My app rating: 4.5 out of 5.